Will Eisner (The Library of Graphic Novelists). Buy at Amazon. 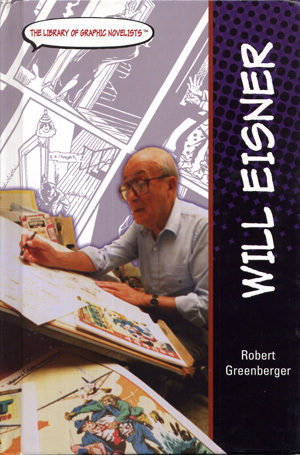 Written by Comic Scene editor Robert Greenberger, this concise biography was published as part of 'The Library of Graphic Novelists' series in 2005. It covers Will Eisner's life and career up until the publication of his final graphic novel The Plot.